I think we had a record turnout for the October Awarewolfs Full Moon Bike ride tonight. We had at least 60 riders, which gives you some idea of just how big the fixed gear community is around here. 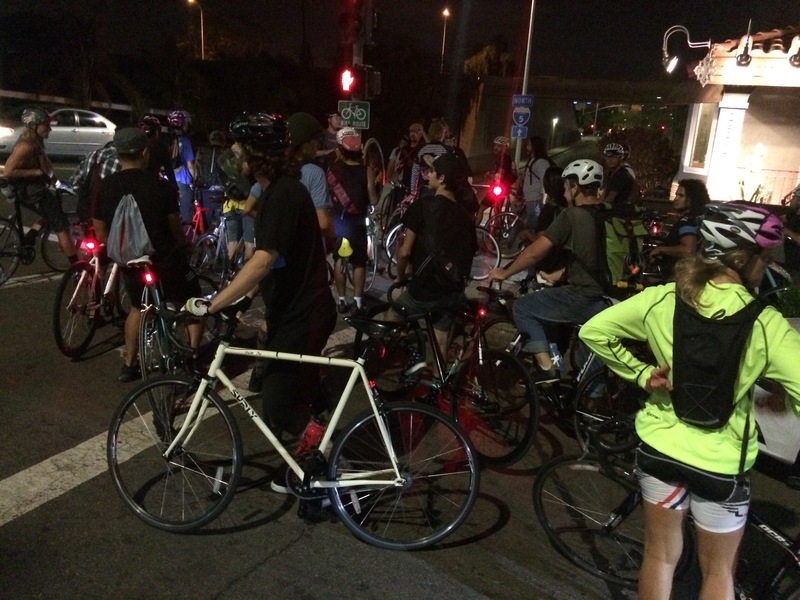 We all ride a lot, so meeting up at 8pm in the park on a Wednesday night is easy enough. The ride was very easy going, except for a short effort at the front sprinting with Tony and Aaron. For Day 27 and 28 of the Bread Challenge, I ate 950g of ciabatta and a rosemary & olive oil sourdough boule. With only two days left in the 30 Day Bread Challenge, I’ll probably have to average around 750g a day to make up for a few missed days.